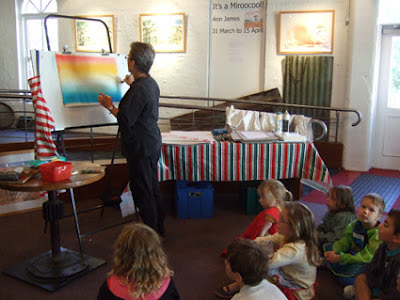 We had a lovely day at Gasworks Arts Park yesterday as part of the Kids' School Holiday Program. 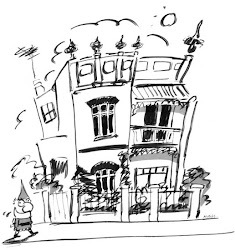 To celebrate the launch of Ann James' and Christine Hariss's new picture book 'It's a Miroocool!' - the prequel to their Audrey in the Outback Junior fiction series - Gasworks hosted an exhibition of Ann's artwork for the book and she carried out a watercolour and charcoal workshop focussing particularly on her sunset illustration. 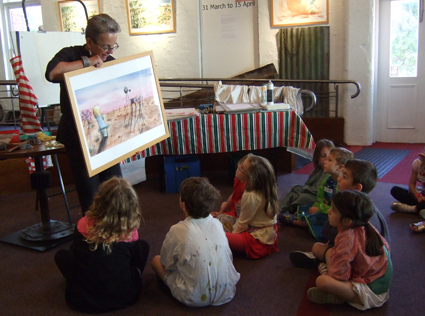 Ann worked with two groups of kids throughout the day. 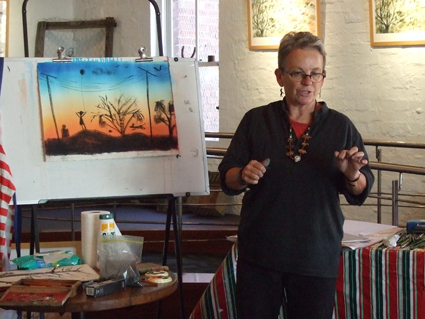 First she demonstrated how to create a watercolour wash. 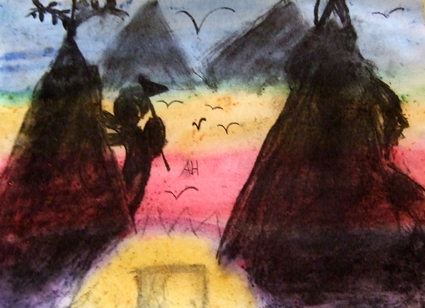 Her paper was pasted up on an easel and gravity encouraged the sunset colours to blend. 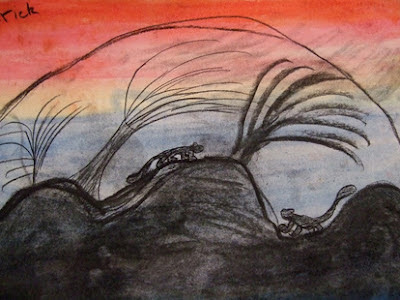 Then while the washes dried, Ann and the kids all went outside into the sunshine and did some charcoal drawings of trees, birds, leaves, bushes, buildings looking at how to transform what they were seeing into shapes for silhouettes. 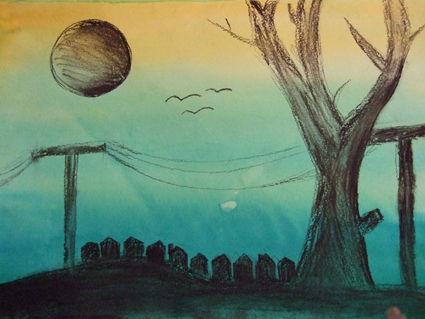 Then they used their charcoal drawings and imaginations to help create silhouette sunset landscapes. Feel free to take a good look at some sunsets and sunrises and try your own sunset painting at home !